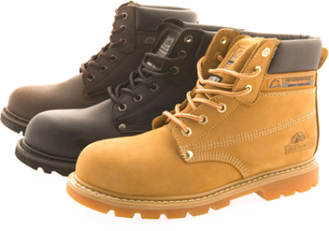 Groundwork has been designing, manufacturing and distributing quality safety footwear for over 30 years and are a leader in the industry. Our collection offers an excellent balance between weight, durability, and supreme comfort and all conform to EN ISO20345:2011. Our focus is to make top-quality footwear at competitive prices!